Don’t let your eyes deceive you. 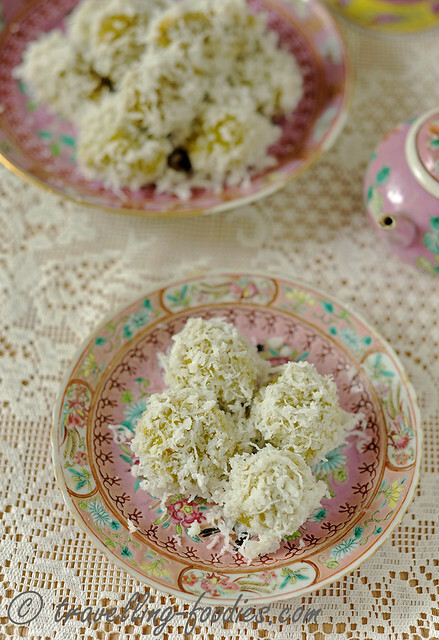 This is not the much coveted rempah udang, a Peranakan cuchi mulot which is a favorite amongst non-Peranakans as well. 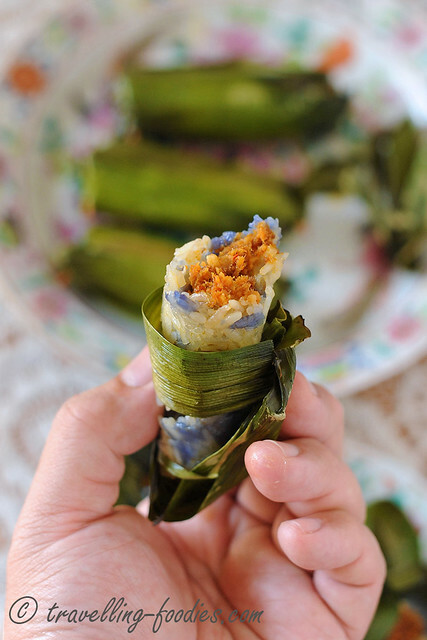 These are fashioned to look like rempah udang, the glutinous rice is coloured and cooked just like that in rempah udang, the wrapping is done exactly as how one would make rempah udang. So what is it that sets what you see in the photo apart from the real McCoy? 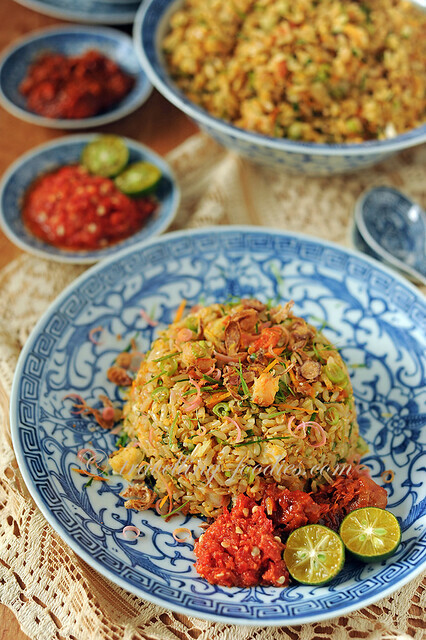 Some of you would have guessed it by now, it is the filling…instead of using an “inti rempah udang“, I’d used a portion of the sambal lengkong I made just before Chinese New Year. 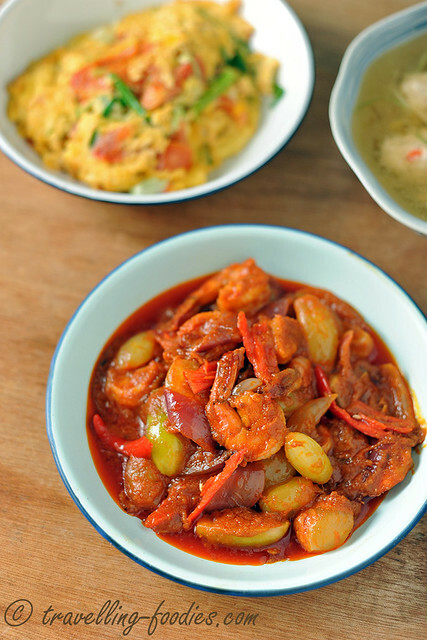 It tastes vastly different from the inti used in rempah udang, but I assure you that it is no less delicious! We enjoy homecooked food a lot. And because of that, we enjoy cooking at home a lot. What seemed to be a chore in the past, helping my mum wash the vegetables, cut the ingredients, tumbok the rempah in the past became what I missed the most now that mum is no longer with us. 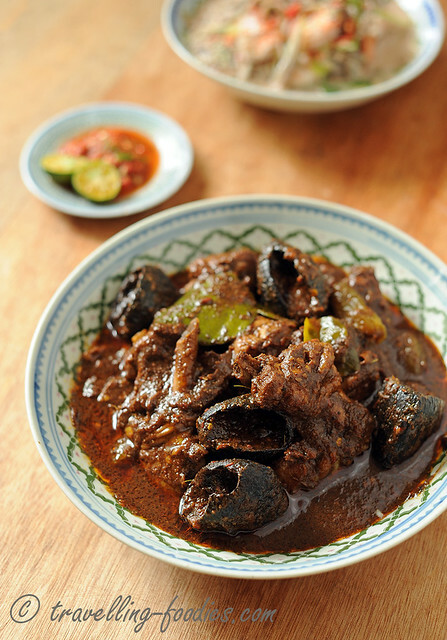 The dishes are usually very simple, spanning across a good range of Peranakan fare, not forgetting dishes from Chinese cuisine which she’d learnt from my grandmothers, our neighbours, her colleagues-turned friends at work, our old neighbours, and even from the vegetable sellers, fishmongers, butchers and hawkers from whom she will steal a recipe or cooking tip from. 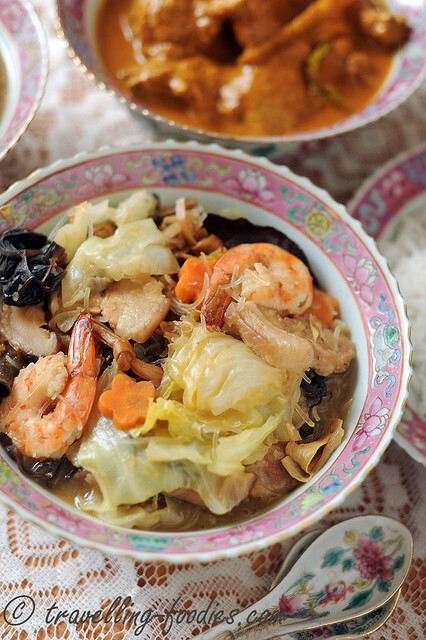 From them, she expanded her culinary repertoire that stretched across other cuisines to cook dishes from these dialectal groups when she didn’t even know how to speak those tongues! Amazing how fast and effortless it was for her to learn new dishes, sometimes indirectly from just tasting it once or twice would she be able to decode the recipe or figure out the cooking methods. Those were the days when experimentation was the fun thing to do and authenticity was never a question in mind. My Facebook updates these few days are crawling with feeds and photos of friends who are out and about with their CNY baking. The festive mood seems to have really kicked in with many friends busy with churning out CNY goodies from their kitchens, for “a thousand and one reasons” as I was joking with a friend, be it for friends and family to snack on and enjoy, to really get into the festive mood, to sell and earn some pocket money, to polish one’s pastry making skills and most importantly, because one simply feels like making! In other words, there really isn’t a need for a proper impedus that gets one going with all the CNY cooking and baking. Just follow your heart. As with many, one of the absolute quintessential Chinese New Year “kueh” which we definitely must have on the table are the pineapple tarts. 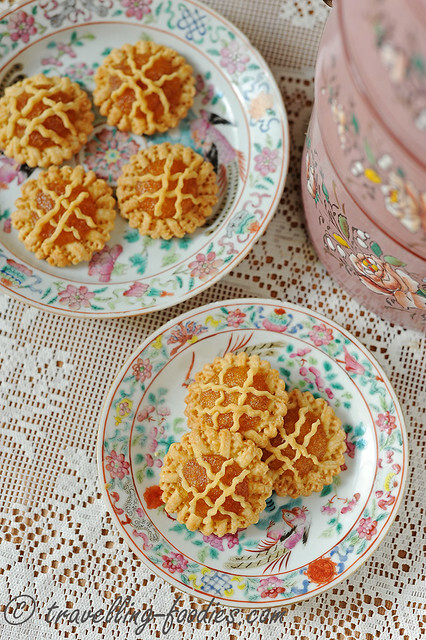 I bake it every year and this year, I’d decided to make the Peranakan pineapple tarts aka “kueh tair” which is slightly more elaborated than the standard ones we get outside. It is quite laborious but I’m glad I did it. Lots more room for improvement for sure and I thank my Peranakan friends who had taught me some of the “tricks to the trade” and also given me much support and encouragement along the way. So here is my first batch of “kueh tair” for 2016.